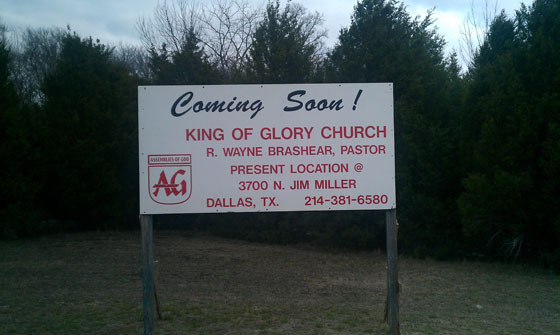 The name of our church has been officially changed to KING OF GLORY ASSEMBLY OF GOD. Our email address is: worship@kingofgloryag.org. With the love, support, and prayers of our congregation, we continue to take steps forward to our future home in Mesquite. Our church supports this wonderful ministry for those in need. The quilting group creates one of a kind quilts for those who are in hospitals, nursing homes, homebound, or who need special prayers and encouragement. Please help us support this important ministry. Call the church office or Linda Pickle to find out how you can help them make a difference. We are collecting aluminum cans to help us raise money for BGMC (Boys and Girls Ministry Challenge). This will be an ongoing drive, so please save your aluminum cans and donate them to the church. It's an easy way to help support this important children's ministry. We are singing your requests for the months of July and August. There will be a list in the foyer for you to write down your song requests. Tickets are $12 and must be purchased in advance. No tickets will be sold at the door. We kicked off Christmas in July on Sunday, June 22nd and will continue until Sunday, August 3rd. Proceeds will benefit the Pleasant Hills Children's Home. Help us support this worthy organization.